There seems to be plenty of fresh figs on sale in the supermarkets at present, so now is the time to try this delicious snack. However, you can substitute peaches, nectarines or melon wedges for the figs if you prefer. Put the garlic. chilli, lemon zest, cumin, mint and oil into a bowl, add the feta and toss gently. Set aside to marinate for at least 30 minutes (or this can be done the night before). 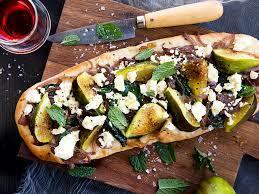 Slice the figs in half and serve on the toasted bread with the feta and marinade juices. 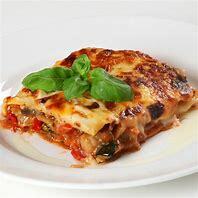 Serve sprinkled with Reduced Balsamic Vinegar.